Revelations about the Internet spying system PRISM have put the international spotlight on the extent of the U.S. government’s secret surveillance. But the disclosures also raise important questions about the role the world’s largest Internet companies played in hoodwinking the public over the controversial spying. Last week, the Guardian and the Washington Post reported that Internet giants including Google, Microsoft, Facebook, and Yahoo are involved in an NSA program that enables the government to monitor emails, file transfers, photos, videos, chats, and other private data. The companies have denied providing the NSA with “direct access” to their servers. However, executives from unnamed companies linked to PRISM have since acknowledged some level of participation in the NSA program—which appears to involve using broad court orders issued under the Foreign Intelligence Surveillance Act to gain access to foreigners’ private communications. However, even if Microsoft were under a FISA gag, it could still have put a vague disclaimer on its Skype transparency report noting that for unspecified national security reasons it could not provide details of all cases in which it handed over communications content. True, no other companies disclose FISA requests, either, but at least they acknowledge handing over some communications when presented with search warrants. 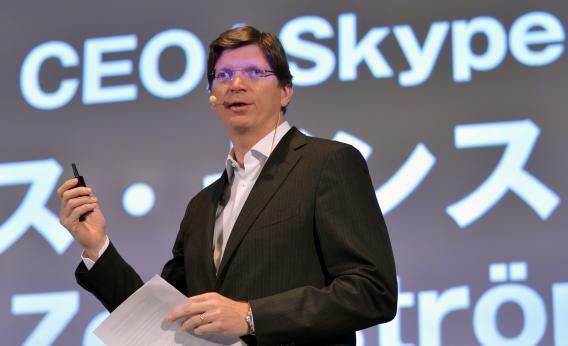 Microsoft portrayed Skype communications as totally beyond the reach of the government. Indeed, the company apparently chose to claim that it handed over the content of zero communications in 2012—while at the same time complying with a FISA surveillance program that enables the NSA to sift through Skype communications. If reports of Microsoft’s participation in secret FISA-PRISM surveillance are accurate, the company disingenuously created a false sense of security by implying that users’ communications were not being turned over to the government. Following the revelations about PRISM, Microsoft has joined forces with other Internet giants to call on the U.S. government to be more transparent on FISA surveillance. But Microsoft—like Google, Facebook, and others—cannot claim to be a passive victim in this story. Unlike Twitter, it did not push back against excessive U.S. government surveillance requests until the leaked documents were disclosed, and in some cases may have been complicit in misleading the public over the extent of the snooping. That is why it is crucial that while the U.S. government is the center of international attention in the PRISM saga, the companies linked to the program should feel the full heat of the spotlight, too.